Capitalizing on our rich industry experience, we are manufacturing and supplying a quality assortment of Industrial Fasteners. This array comprises, Stainless Steel Screws, Stainless Steel Threaded Bars, Stainless Steel Fasteners, Hestolloy fasteners, Titanium fasteners, inconel fasteners And High Tensile Fasteners. Available in various grades and specifications, these fasteners can also be customized on the basis of varied specifications detailed down by the clients. Widely acknowledged for their dimensional accuracy, efficient performance, longer functional life and high strength, these products are preferred over others available in the market. 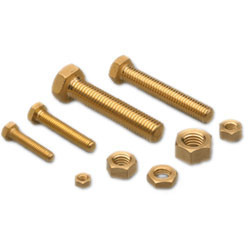 We manufacture and supply wide range of Anchor Fastener includes expansion type fasteners mainly dowell, anchor, double sleeve, projected, pin type, bullet type, N. V. Type and single sleeve. 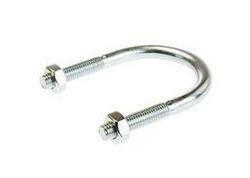 Dowell and anchor fastener is fabricated from the zinc alloy and mild steel. These fasteners are extremely easy to use and require no cementing or grouting after their attachment with the fixture. Clients widely sought our products for their high tensile strength, abrasion resistant property and corrosion free nature. Owing to their unmatched attributes, our products find application in industrial, commercial and residential sectors. Also, our expansion type fasteners are used to fix heavy or light fixtures on various surface areas. New Arvind Fastners stocks a large inventory of monel bolts, monel nuts, monel flat washers, monel studs, and monel socket head cap screws. Thunder Threads considers Monel 500 . Small amounts of titanium and aluminum are added to the nickel-copper base which results in a harder alloy while keeping the similar chemical resistace of monel 500. Common applications for monel 500 are used in pumps, blades, scrapers, collars, instruments, springs, and valves. 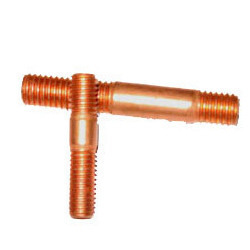 Duplex / Super Duplex Fasteners We are engaged in manufacturing theses high grade duplex / super duplx fasteners and anchor bolts as per customised standards. These Fasteners pass through a stringent quality test before final dispatch to ensure perfect quality and accuracy. Range M10 To M100, 3/8" Unc Till 4" Un8 Length Upto 3 Meters. Ask Latest Price We are offering Inconel Fasteners to our estimated clients , these products are available in various range to our clients, keeping in mind requirements or our clients. Products offered by us are highly graded by industry experts. 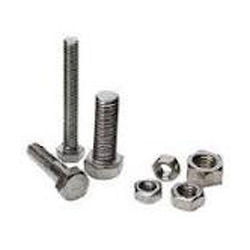 We are one of the leading exporters of Alloy 20 Fasteners, which are stockist according to specifications and drawings provided by the customers. These High corrosion Alloy material are used in Oil & Gas, Heat Exchangers, Aerospace, Pharmaceutical, Defense. Titanium Fasteners offered comes designed and developed in sturdy construction finish and provides for stable working support as demanded from the customers. 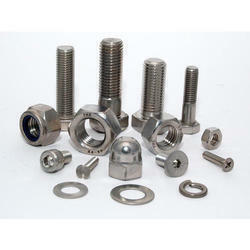 Further, the offered fastener choices can be made available by us in different standard choices like DIN and others. Some of its features include high strength construction finish; available in grade choices of GR1, GR2, GR5 and others; different bolt sizes of M4 to M22 in length; nut sizes of M4 to M48, washer sizes of M4 to M48. Backed by rich infrastructure set-up, we manufacture and supply a wide range of Hastelloy C-22 Fasteners. Owing to the use of wrought corrosion resistant alloy in the fabrication process, these fasteners do not require solution heat treatment after welding. Therefore, it resists the formation of grain boundary precipitates that would otherwise degrade corrosion resistance. Offered in various specifications, these fasteners find diverse application in chemical process equipment and desulfurization of flue gas equipment. 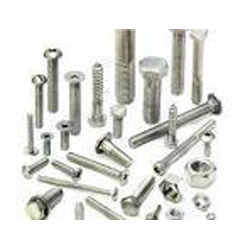 We are considered to be among the leading manufacturers and suppliers of optimum quality Special Material Fastener. Owing to the quality raw materials and modern machinery used in their manufacture, the offered fasteners are characterized by dimensional accuracy, high sturdiness, impeccable resistance to corrosion and durability. Further, these fasteners are priced quite reasonably. Backed by rich infrastructure set-up, we manufacture and supply a wide range of Hastelloy C-276 Fasteners. Owing to the use of top grade C-276 wrought corrosion resistant alloy in the fabrication process, these fasteners do not require solution heat treatment after welding. Therefore, it resists the formation of grain boundary precipitates that would otherwise degrade corrosion resistance. Offered in various specifications, these fasteners find diverse application in chemical process equipment and desulfurization of flue gas equipment. New Arvind Fastners stocks a large inventory of monel bolts, monel nuts, monel flat washers, monel studs, and monel socket head cap screws. Thunder Threads considers Monel 400 Fasteners . Small amounts of titanium and aluminum are added to the nickel-copper base which results in a harder alloy while keeping the similar chemical resistace of Monel 400 Fasteners. 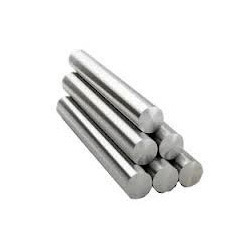 Common applications for Monel 400 Fastenersare used in pumps, blades, scrapers, collars, instruments, springs, and valves. We are Dealing In Copper Studs.